Building a new home can be an exciting prospect. Living in a space that is built exactly to your specifications and that reflects your tastes, can be a dream come true for anyone. But before you can sit back and relax in your new home, you need to get the construction completed and all aspects of the house built in. Even before that, you need to work on getting all sorts of permits and contracts. One of the things that you have probably not thought about is tree removal services from the area where your new construction is going to be. The simplest reason to remove trees from your building site is so that the builder can start construction work without delay. The first part of this construction is the laying down of the foundation (house slab). If the land is not properly cleared of trees, this may have long-term effects on the whole structure of your house. The engineers may have to redesign the foundation and/or the structure of your house to take into account the growth of the trees in proximity to your house. Foundation reinforcement would need to be beefed up and any other needed structural or design changes will also need to be made. There will be administrative and construction delays and you can expect your house to be completed at a later date. Additionally, your construction costs are going to see an increase too. Now doesn’t all this sound like a lot of trouble just because you did not get trees removed properly from your site? So hire a professional tree removal company prior to construction and save yourself a lot of trouble later. For all your tree removal needs, Advance Tree Pros can provide superior service for you. We specialize in fast and professional tree removal services. As a leader in Orlando tree services, we perform tree removal in a professional, safe, and timely manner with 100% recycling of all debris. As part of our commitment to being a 100% green company, we take the extra effort to not only clean up and remove all the debris from your site after the service, we also mulch it to prevent it from being dumped into a landfill. We expertly remove tree stumps as well. You can feel confident about our services knowing that we abide by all stringent requirements and guidelines for a tree and stump removals. Our staff is qualified and experienced and can handle all service jobs expertly. We follow detailed steps to ensure that you will never see any future problems because of our service. With years of experience, no job is too difficult or too big for us. We use our own equipment, unlike some other companies who get rentals. We have bucket trucks and a massive crane that can help us reach difficult places and do tree removal in an efficient manner. We are an insured company and have plenty of great reviews from satisfied customers. We ensure that our tree removal crew uses protective equipment when performing tree removal work. Our prices are competitive too and we can provide an estimate beforehand if you would like. With Advance Tree Pros, you will get the best service available. We are located in Florida, and perform services in Orlando and Central Florida. Just call us at (407) 271-1944 and we would be happy to provide you with a free, no-obligation, same day estimate so that you are not held up in getting your project underway. 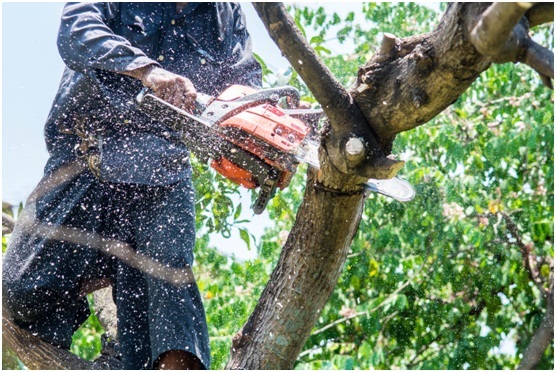 Other than our expert tree removal services, we also trim trees, provide bush and landscape clearing service, and crane service. Even if you need to get your pet down from that tall tree, we can come get it for you! In Orlando, tree removal and other services do not get any better than with Advance Tree Pros. You can check out the customer testimonials page on our website to see how we have helped our customers with many different needs and why they do not hesitate to recommend us. You may also be able to make use of our specials or discounts that we have available from time to time. Building a new home can be an exciting prospect. Living in a space that is built exactly to your specifications and that reflects your tastes, can be a dream come true for anyone. But before you can sit back and relax in your new home, you need to get the construction completed and all aspects of the house built in.